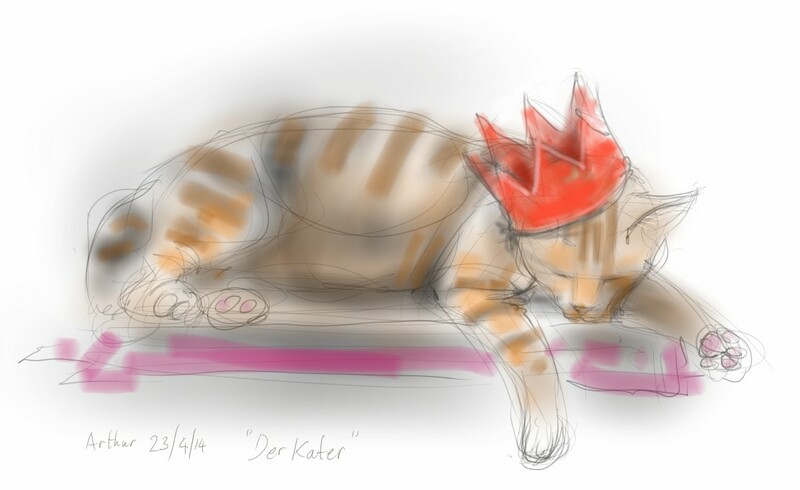 This entry was posted in Cats and tagged art, arthur cat, cat sleeping, cat-of-the-day, digital painting, digital sketch, drawing, hangover, illustration, phone sketch on April 23, 2014 by Nancy Farmer. Oh that’s cute. I really like the colors. And that crown is great! Sorry, that was meant to be Wendy, Wendy, not Kate!! !